Jamie Zink from the US has won $794.00. Looking at Jamie's Instagram photos, I can see that he loves taking photos in the fog. 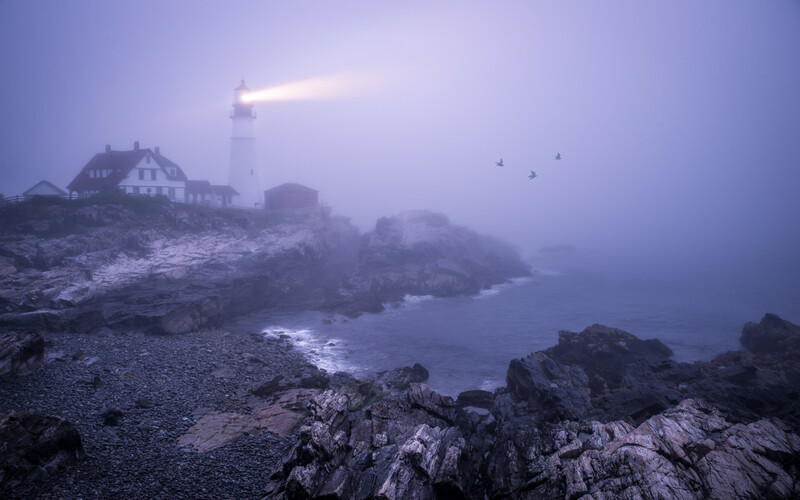 This photo has many elements which make it an excellent landscape photo: the beam of light, the rocky coastline, the birds, and the atmospheric fog. I love the way the sea and sky merge together. Thank you to everyone who entered one of the 147 entries, and to the judge Duncan MacArthur for choosing 10 winning shots.